Registration is open for the 2018 Jack Daniel's Hot Toddy 5K. Registration for the fourth annual Jack Daniel’s Hot Toddy 5K is now open. The 3.1-mile race will take place Saturday, Dec. 1. What makes this race unique is that runners are rewarded with one free hot toddy – made with a choice of Jack Daniel's Tennessee Fire, Tennessee Honey or Original No 7 – once they cross the finish line. 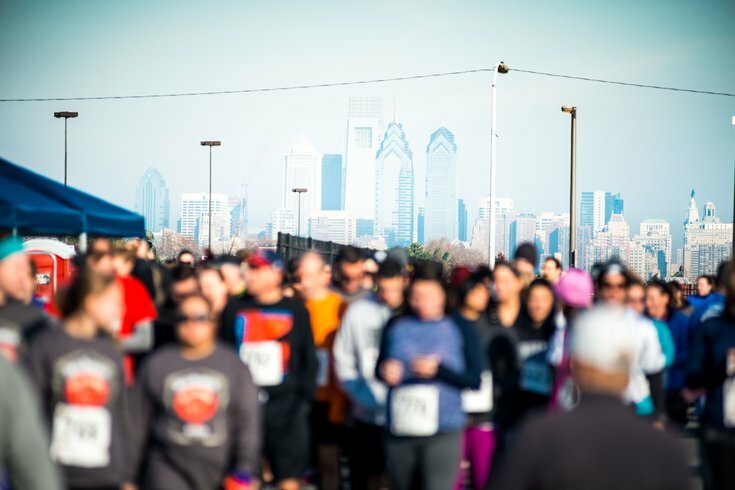 The race begins and ends at Xfinity Live!, and follows a loop around Citizens Bank Park and the Wells Fargo Center. Registration for those 21-plus is $42. Included is a long sleeve race shirt, an insulated Jack Daniel's Hot Toddy 5K reusable mug and one drink ticket. There will also be exclusive drink specials at Xfinity Live! for runners post-race. If you're not 21, you can still participate in the run. Minors, age 5 to 20, can register for $35. Once again, MANNA is the official race charity. Each month, the organization delivers thousands of meals to those who struggle with serious diseases. Before the race, there will be a free stretching session with SWEAT Fitness so make sure to arrive early.